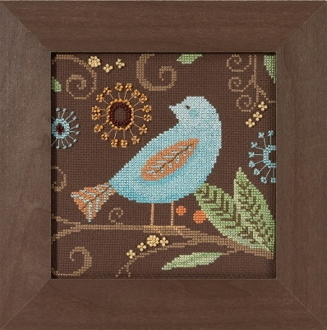 An adorable design by artist Debbie Mumm. Features an Aqua Bird on a Limb. Design size: 5.5" x 5.5" (14cm x 14cm).